The tomatoes in my garden happen to be prolific and delicious this year. I have been drying them, freezing them whole, making ratatouille, and now pasta sauce to enjoy and freeze for later. When highlighting tomatoes simplicity is the key. They have such a beautiful flavor that not much else is needed. Tomatoes, are actually a fruit! 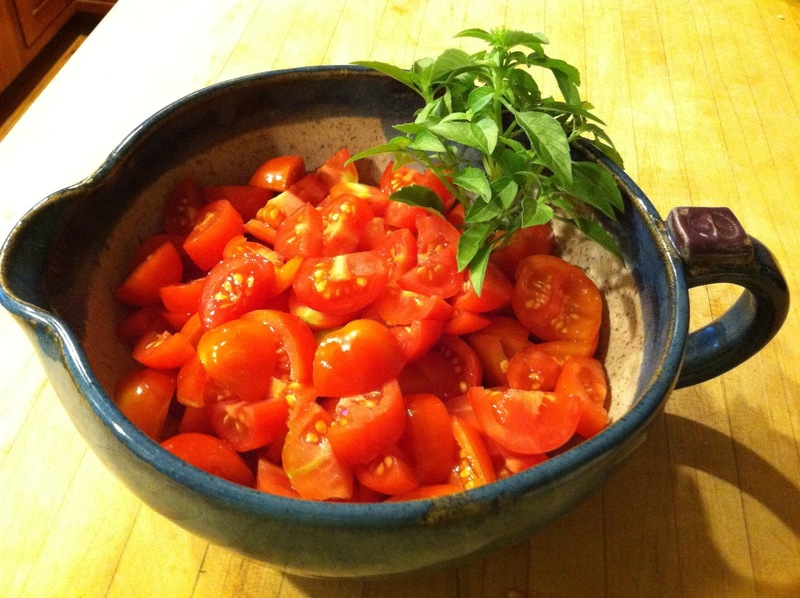 Interestingly, cooked tomatoes are more nutritious than fresh! Their nutrients are fat soluble so a little oil helps your body to absorb the nutrients better! The phytochemical lycopene makes the tomato heart healthy and protects from some forms of cancer! add oil, and onion and saute for 3-4 minutes. Add the garlic and cook a few minutes more. 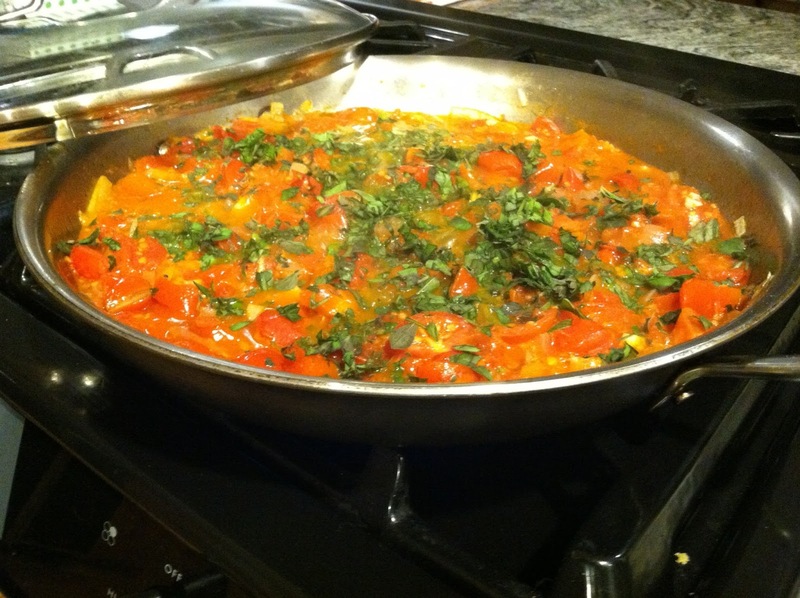 Add the tomatoes, and wine if using, and simmer all of the above at least 25 minutes, more is fine. I start with the cover on the pan then I take it off to allow the sauce to cook down and thicken slightly. Add the herbs, salt and pepper to taste and simmer for 10 minutes more. Serve over your favorite whole wheat or rice pasta. Double this recipe, and cool and freeze for a taste of sumer this winter!